Ranked #1 by visitors in Gatlinburg, many of our cabins are less than 8 years old and feature rustic luxury and high end amenities. We pride ourselves on prompt customer service and maintenance should you require assistance during your stay! You'll feel the personal attention of a private home while getting the service and support from an established and professional owner. Private theater room with 9 foot screen, surround sound, reclining leather theater seating. A secluded and safe setting just 8 minutes from downtown Gatlinburg and 5 minutes from a major grocery store. Secluded and convenient. 20 minutes to Dollywood! Enjoyed Spring break with my grand-kids. We had a wonderful, peaceful stay. Everything was as expected & we really enjoyed ourselves. We are pleased to hear you and your grandchildren had such a great stay, Casandra! Fontana is a great cabin with lots of wonderful amenities and it is in the perfect location to access the heart of downtown Gatlinburg and The Great Smoky Mountains National Park. We enjoyed having you as our guests, and we hope you will make plans to visit with us again very soon. We encourage guests to book direct and save up to 15% on your booking. 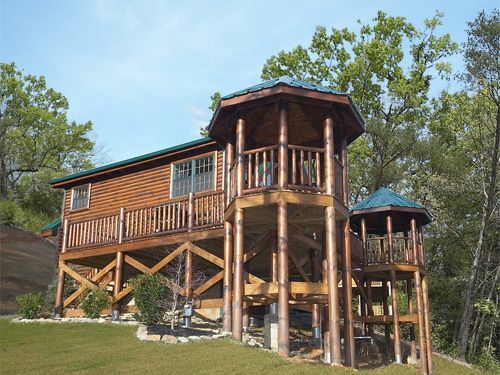 Fontana is beautiful one bedroom cabin with fireplace, jetted tub, pool table, and hot tub. Me and my Husband will definitely return!!! Thank you for your wonderful review, Nicole! We are delighted to hear your stay was exceptional. We enjoyed having you as our guest and would consider it an honor for you to stay with us again in the future. Remember, as a repeat visitor you will save 10% on future stays. Thank you! This was a weekend getaway for my husband and me after a very stressful year. This was the perfect cabin. Great location and beautiful rustic decor. Very quiet, comfortable, and cozy. We loved grilling on the deck, watching movies by the fire and soaking in the hot tub at night. We only ate out once during our stay. The cabin had everything we needed. We didn't want to leave. We really enjoyed ourselves and will definitely be back. Thank you so much!